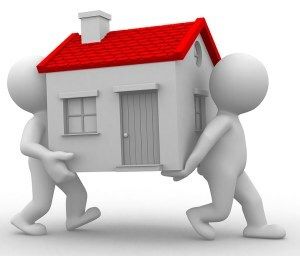 One of the primary motivators for relocation is employment. Some may be simply looking for a new place to begin a career while others must decide whether to move in order to keep their current position. Whatever the reasons, there are many things to consider before abandoning your current city for the greener pastures of another place. One misconception that many people hold is that the experience had while visiting a location reflects the reality of life in that place. Falling in love with the tourist-centric activities and sights of a city or region may not extend to the daily grind of a typical resident. One of the best places to assess the lifestyle of an unfamiliar place is to turn to Internet sources such as local news sites, government sites, realtors, and even Google Earth. Using the latter option, one can take a virtual tour of a neighborhood, and even take a digital trip between a potential place of residence to a place of employment. Understanding your own lifestyle is one of the most important considerations to examine when judging the appropriateness of a new city. Using the Internet to find points of interest that fit well with your own daily routine and lifestyle is both a convenient and cost-efficient way to inspect an area before committing to spend a substantial portion of your life living there. What are your daily activities? What do you enjoy doing during your off time? What experiences and conveniences do you require to maintain your ideal style of living? Once these questions are answered, that information can be used when analyzing the suitability of your potential new home. Though it may not always be feasible or comfortable, one of the best resources for understanding the flow of life in a new area are the people who actually live there. With the advent of social media, it takes only seconds to find locals in any area of the country (or world) who may be willing to open up about what their city offers in regards to your specific niche requirements. Another invaluable activity to consider when honing in on a new city of residence is the act of actually visiting, with one important caveat: don’t visit with the mindset of a tourist. When you go, act like a local. Use public transportation, visit the business district, take a tour of a variety of neighborhoods, and visit local parks and places of recreation geared towards locals. Your experiences here can tell you a lot about the culture of a city and whether or not your lifestyle there would measure up to your expectations. Weather should also be considered; especially extreme seasonal weather such as summers in the South and winters in the North. You can get a good gauge of a city’s weather when you visit, but through the use of weather sites or apps, it’s easy to know just what the weather is like there at any time during the year.